Click the button below to add the Under Armour Men's HeatGear Sonic Compression Short Sleeve to your wish list. 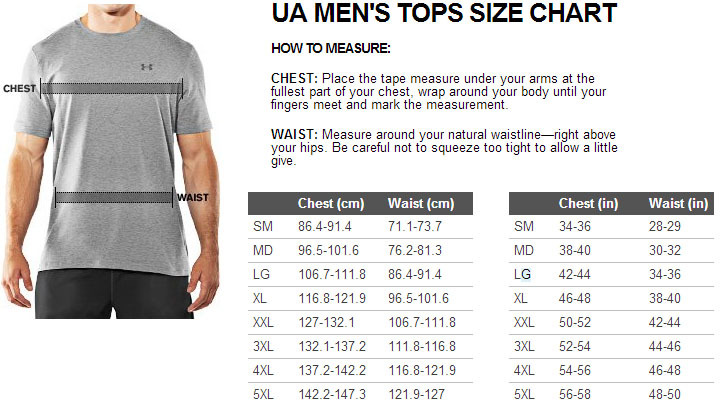 It’s not just your ordinary short sleeves; it’s the Under Armour Men’s HeatGear Sonic Compression Short Sleeve. From the outstanding line up of Sonic Compression Series comes the short sleeve version that offers the same high quality features. This top is made with the same Compression fit that supports the muscles especially during impact and power moves and also aids in faster recovery after a workout. The smooth fabric is stretchable allowing mobility and can retain its shape even after several wash cycles. Chafe-free flat lock seam prevent skin irritation that can be caused by the fabric itself. The Sonic Compression Short Sleeve is also made with anti-odor technology to assure all-day odorless training as it hinders the the growth of microbes in the fabric. Nobody wants to be drenched in their own sweat, so the fabric comes with a moisture-wicking technology to keep you dry and comfortable. It is 30+ UPF-treated to block the harmful rays of the sun. Good performance, good style, good protection - the Under Armour Men’s HeatGear Sonic Compression Short Sleeve.